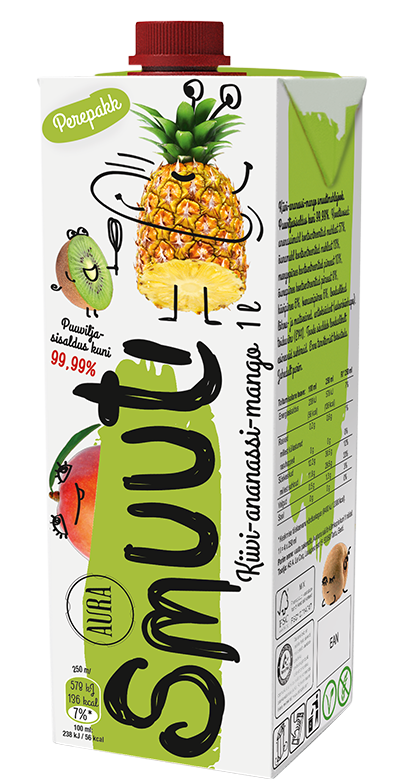 Our kiwi, pineapple & mango smoothie juice drink is velvety smooth and made from the freshest and juiciest fruit available. 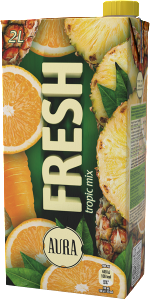 This refreshing drink comes in a one-litre carton that conceals an entire pineapple, four apples, half a banana, half a mango and one kiwi fruit. 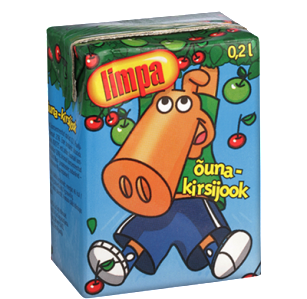 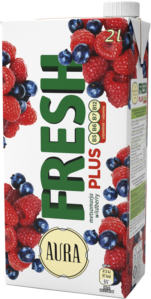 So much good stuff in one carton – and it tastes so good! 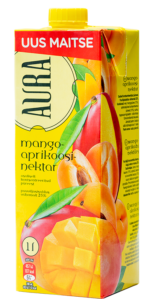 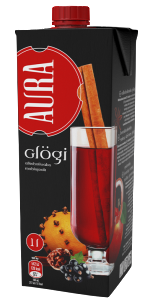 Aura smoothie juice-drinks are made exclusively from fully ripened fruits, with no sugar or preservatives added, for the enjoyment of the whole family! 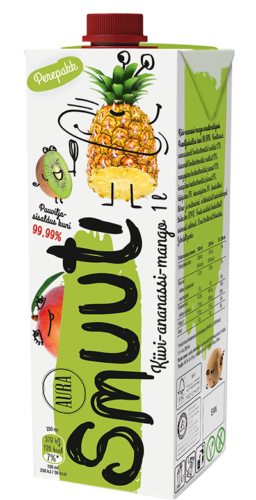 pineapple juice from concentrated juice 57%, apple juice from concentrated juice 13%, mango puree from concentrated puree 10%, apple puree from concentrated puree 8%, kiwi puree 6%, banana puree 6%, natural flavours, antioxidant – ascorbic acid, food colour – E141.